Achieve Retail Sales Plan, elevate client service standards, and increase Beauty Stylist retention and productivity. Accomplished by conducting effective training seminars, driving point of sale initiatives throughout assigned Territory, and providing at-counter coaching and specialized training in Focus Doors. Work with Field Sales to reduce turnover by developing highly motivated, knowledgeable, and productive Beauty Stylists and Counter Managers. Work with corporate Education team and local Field Sales Management to determine training needs and develop appropriate action plans to ensure total territory achieves retail sales goals. Monitor and analyze sales performance, focus product sell-through and mix of business in top doors. Participate in the selection and interview process of Beauty Stylists and Counter Managers in top doors. Conduct all training seminars for Beauty Stylists and Counter Managers in territory. Conduct initial orientation training for newly hired Beauty Stylists in top doors and other doors as agreed by VP Retail Development. Provide Field Sales team with orientation materials for stores not covered by Education Managers. Execute this Dior Professionalism Curriculum. Conduct follow-up coaching sessions to enhance Beauty Stylists' selling skills and product knowledge. Work with Counter Managers in-store to enhance product knowledge, develop selling skills, team management and business analysis skills. Ensure the proper usage of the DBR, Business Planner, and Dior-Direct Client Card. Evaluate Counter Managers' and Beauty Stylists' skills on an on-going basis. Conduct training with Fragrance Bar Consultants. 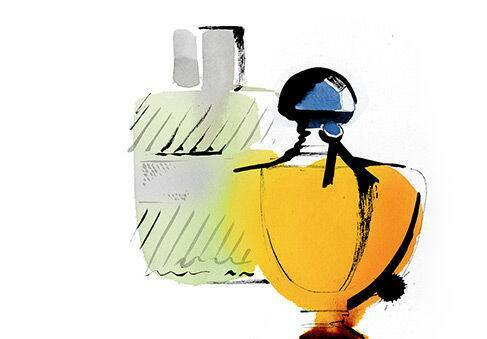 Develop a positive relationship with the Men's & Women's Fragrance Associates. Conduct new product training as needed. Conduct training on Special Events with Beauty Stylists and appropriate Selling Specialists. Ensure all local market training needs adhere to budgetary parameters set by the VP Retail Development. Provide a motivational and challenging work environment necessary to reduce Beauty Stylist turnover. Enforce Beauty Stylist image guidelines by always wearing the appropriate attire in store as well as during training seminars. Maintain constant and productive communication/partnership with VP Retail Development and Field Sales partners. All other job related activities.